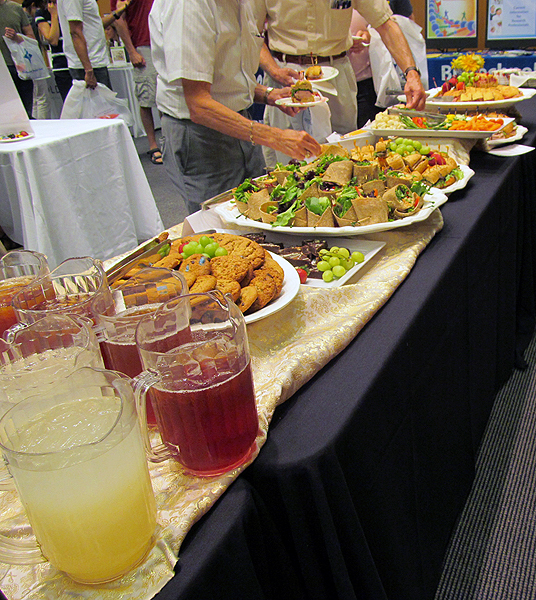 How much product can exhibiting companies sell at a single event? Let Biotechnology Calendar, Inc. help you find out! With the 2017 schedule out we can help you select the very best shows to increase your scientific product sales. Most of us ate turkey with friends and family in a warm house yesterday. Today many are shopping. Meanwhile on Long Island, Staten Island and the Jersey Shore, volunteer organizations are still hard at work cleaning up the mess from Sandy and helping people move their lives forward. Instead of Thanksgiving at home with family, military veterans volunteering with Team Rubicon probably ate a donated meal with fellow workers or community members. Maybe they got to rest their muscles for a day. 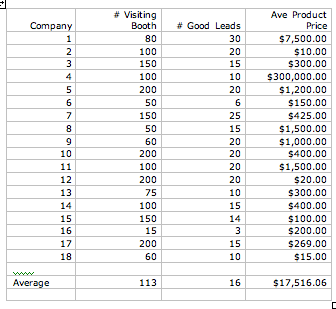 Scientific Sales Leads at Vendor Shows: How do you stack up? Some times we all wonder how good we are compared to the next guy, how great our products really are, and how well do other companies do at vendor shows, product fairs, trade shows, or whatever your business event of the moment is called. 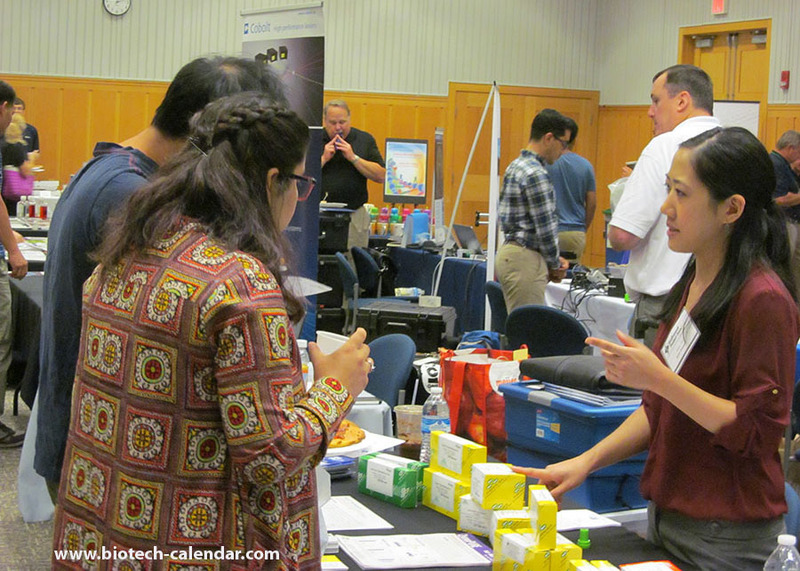 On January 25th of this year we held our 9th semiannual Sacramento BioResearch Product Faire event on the medical campus of the University of California Davis, in Sacramento. The UC Davis Health System includes the School of Medicine, School of Nursing, and the Medical Center with its state-of-the-art teaching hospital. Also part of the Sacramento biomedical hub where we hold our events are the UC Davis Children's Hospital and the Shriner's Hospital for Children of Northern California. 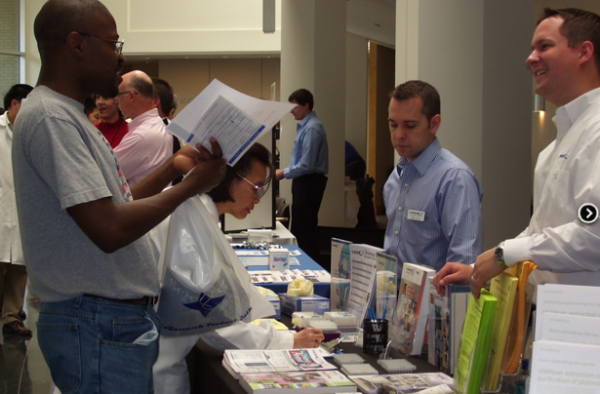 If this year's St. Louis BioResearch Product Faire™ Event (BRPF) is anything like past BRPF events, over 400 researchers from Washington University in St. Louis and the surrounding area will attend to actively seek solutions for their research challenges. When they arrive, they will find dozens of suppliers of scientific tools and equipment ready to demonstrate their products and answer their research-related questions. This is an important gathering in the St. Louis life science community, drawing researchers from on-campus buildings, and nearby biotech and pharmaceutical companies. 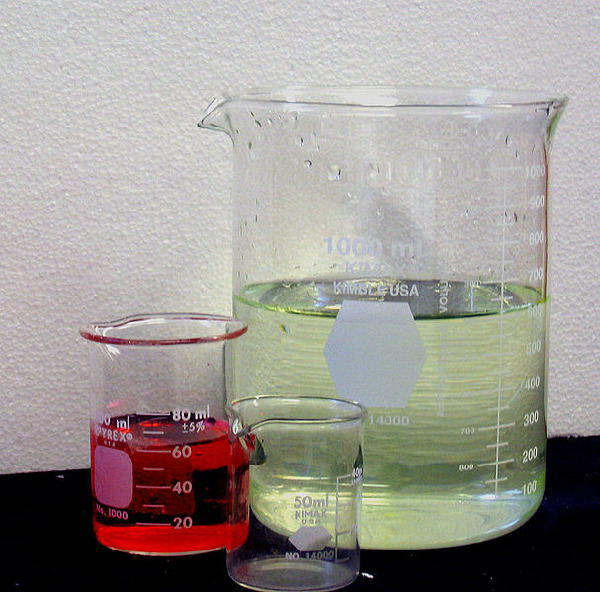 In the research science world, green is a gradient, it is a starting place from which to move in a more sustainable direction. It’s also a gradient that researchers are willing to pay more for. Over 95% of the researchers we surveyed at an on campus life science marketing event said they would be willing to pay more for green chemistry products. Coming to the world of science sales by way of the laboratory, new laboratory sales representatives may dismiss the value of advertising, marketing, sponsorships and related services in the process of selling lab equipment and services. In some cases when a product and its brand are ingrained in the customer's memory and familiar from repeated, loyal use it may sell itself. However, in most instances, effective branding is needed to ensure loyalty and familiarity with a company's products and services. Why should lab suppliers build their brands? Strong brands benefit from ongoing credibility and trust associated with high quality. This is especially important in the world of science experimentation where any variable that can be eliminated saves time in answering the researcher’s questions. Brand recognition can drive laboratory product sales as a researcher becomes comfortable with your company and products. A strong brand allows you to stand out from competitors with sound-alike and look-alike lab products and services. In general, it is easier to command higher prices for known brands with recognized high quality. New products from familiar brands generate interest more quickly from the active research community than similar products from unknown companies.